Want to capture quality leads for your domestic help agency? 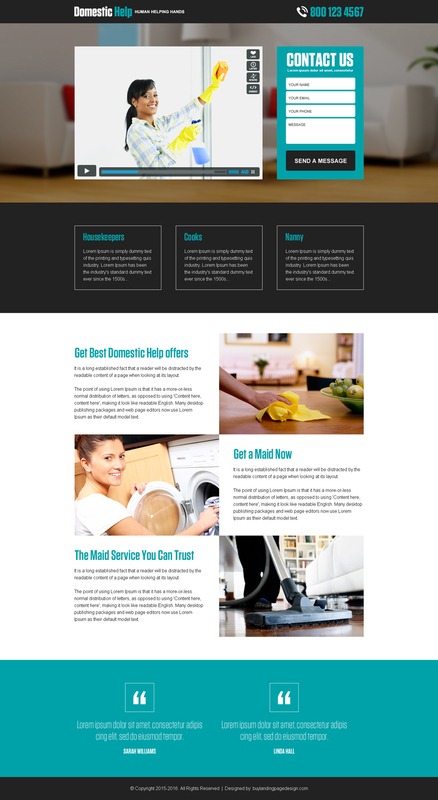 Capture potential leads for your domestic help agency with our modern, effective and pocket-friendly domestic help landing pages. Our responsive domestic help landing pages will help you capture leads through all available screen resolution like a smartphone, tablet, laptop as well as desktop.